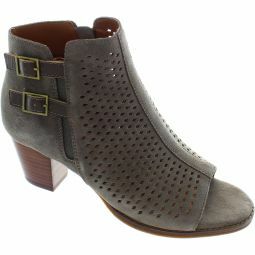 Chryssa peep-toe ankle bootie. Decorative perforations and a double buckle detail adorn the upper Make a seamless transition from winter to spring. 5cm (2 inch) heels.